Actor and brother to actresses Brighton and Saxon Sharbino. In 2012, he appeared in a couple of short films called Disruption and Promesas. He was cast in a minor role as a church boy in the 2016 film Miracles from Heaven. 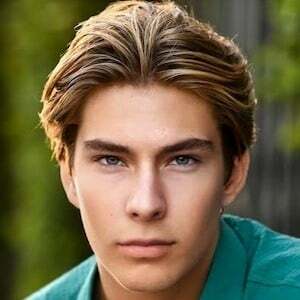 He is the son of Ron and Angela Sharbino. He and his sister Brighton were both cast in the film Miracles from Heaven, starring Jennifer Garner.